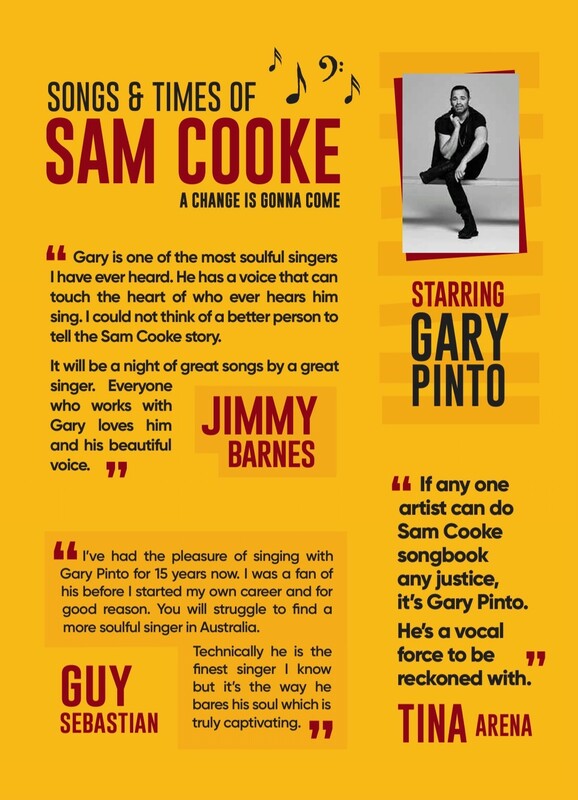 The Songs & Times Of Sam Cooke – A Change Is Gonna Come will see revered Australian singer Gary Pinto traverse the biggest hits of Sam Cooke’s career in a special stage directed by acclaimed theatre director Greg Carroll. 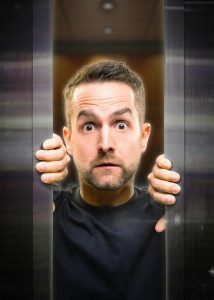 Produced by Melbourne Creative Music Company, the limited season will tour throughout Australia in January and February. 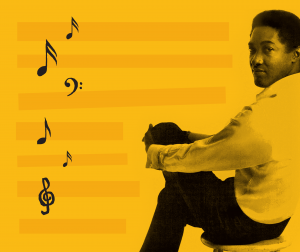 Backed by the six-piece band The Champions of Soul, the show embodies the spirit of Sam Cooke’s beloved concert at the Harlem Square Club from 1963.